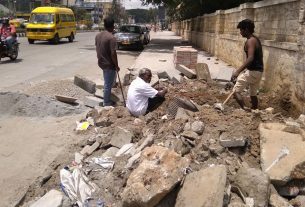 Bangalore, November 22, 2017: There is no public volleyball playground in Hosanagara taluk despite students asking the taluk officer for help. The school playground is not enough to play on. “We went to the taluk office to ask for help with regards to building a playground but no action has been taken yet. Also the school doesn’t help us with any alternative,” said Ganesh, a state level Volleyball player. Chandrashekhar, Panchayat Development Officer said, “The situation needs a remedy from the government. This is one of the reasons why children from the Taluk are not being able to participate in sport activities. Like Ganesh there are hundreds of children facing similar problem. Sports driven schemes like Rajiv Gandhi Khel Abhiyan, Urban Infrastructure Scheme and National Sports Talent Searchdoes not seem to be helpful. As there is no sign of improvement” The schools have said that they don’t get enough fund from the government for sport facilities. 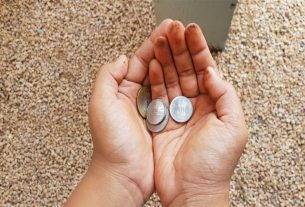 “We have to manage from fund given by the government in fact we split the amount accordingly to adjust in various fields where it is more necessary.. We do not get enough to take care of grounds and make it world class” said Mr. Karibasapara, Head Master of GHP School, Barwa. The lack of playgrounds have discouraged students who wished to play at state and national level. “I really want to play volleyball on bigger platform. But I think that will only be a dream for me,” said Rajan, a second year PU Commerce student.